To love someone is to learn the song in their heart, and to sing it to them when they have forgotten. A sterling silver sheet sings a song of love and devotion. 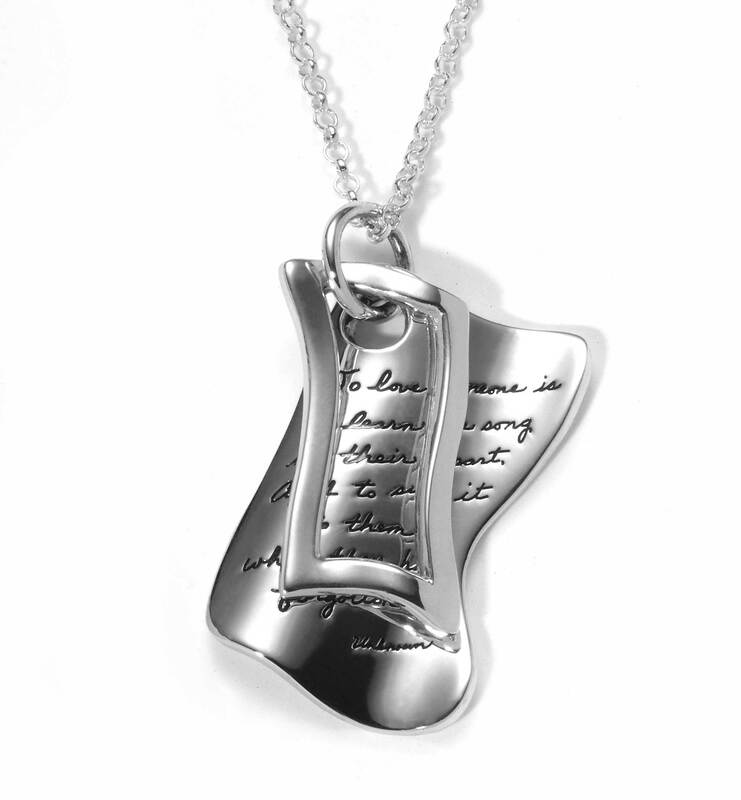 The lyrical engraved inscription reflects the romantic melody your soul plays in her presence. It reminds whoever receives it that your hearts beat together in the rhythm of true love and devotion. If one of you loses your song, you need not fear, for your one and only knows it by heart. This hand-polished necklace makes a meaningful “just because” token of affection.